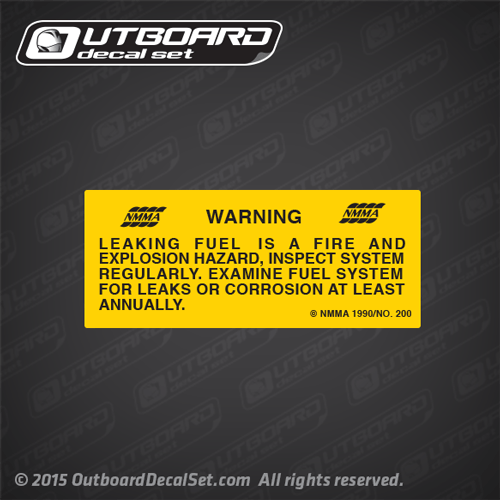 Warning Fuel leaking decal Sold by Each in Yellow for 1990 NMMA No. 200 Boats. LEAKING FUEL IS A FIRE AND EXPLOSION HAZARD, INSPECT SYSTEM REGULARLY. EXAMINE FUEL SYSTEM FOR LEAKS OR CORROSION AT LEAST ANNUALLY.